SKU: 20123007. Category: Commemorative, Other. 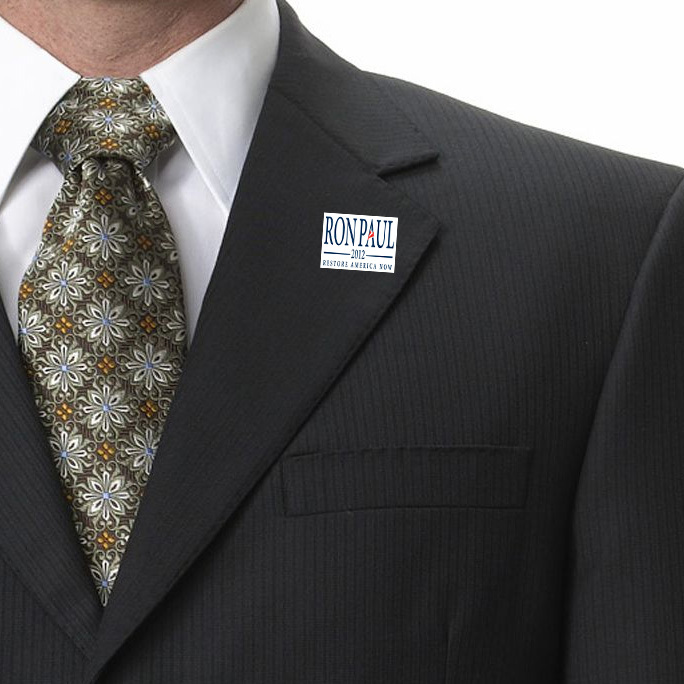 Show your support for Ron Paul in a more subtle or formal fashion with these .75 ” x 1″ high-gloss Ron Paul 2012 Lapel Pins. Featuring traditional tie-tack pin clasp on the back. Great for wearing on your suit jacket or dress. 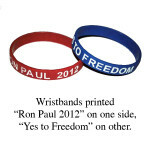 Available in both navy blue and white designs with the Official Ron Paul 2012 “Restore America Now” logo.